During the Japanese occupation of Korea in the 1930s, independence fighters wage war against the regime. However complicating matters significantly are the native Koreans who offer support to the invaders, turning traitor for wealth and power. One such turncoat, Kang In-gook (Lee Kyeong-yeong), is selected as the next assassination target with sniper Ahn Ok-yoon (Jeon Ji-hyeon), bruiser ‘Big Gun’ (Jo Jin-woong) and explosives expert Deok-sam (Choi Deok-moon) recruited for the task by independence captain Yeom Seok-jin (Lee Jeong-jae). However unbeknownst to the trio, contract killers Hawaii Pistol (Ha Jeong-woo) and Old Man (Oh Dal-soo) have been hired to stop them before they can fulfil the mission. 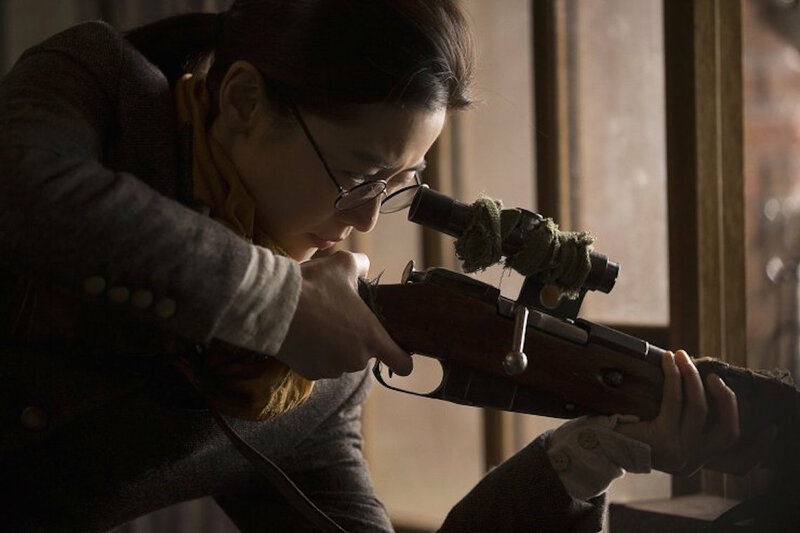 Deserving credit for producing blockbuster fare in the Korean film industry – as well as for touching on the extremely sensitive issue of Japanese collaboration – director Choi Dong-hoon has once again crafted solid entertainment in the form of Assassination. While boasting a talented ensemble cast and and production values most other directors could only dream of, Choi’s latest still, as with prior film The Thieves, suffers from an overly-long and convoluted narrative that is tonally inconsistent. Alongside poor characterisation and lack of depth, Assassination is ultimately eye-candy cinema that is fun while it lasts but difficult to truly invest in. Assassination begins in explosive fashion, as the fraught political period is brought to life through an adrenaline-inducing opening sequence that sees resistance fighter Yeom attempt to take out a high-profile Japanese target. It’s an engrossing and brilliantly executed introduction, with director Choi effortlessly generating thrills while setting up momentum for events to come. It also, ironically, contains much of what the film is about – glorious production values and camerawork, and talented performers wrangling with thread-bare characterisation. The film’s reported $16 million budget is clearly visible in every frame as Assassination is truly a visual treat. The production, set and costume design are consistently impressive from beginning to end and it’s a genuine shame that the talented teams behind these areas have not been more widely celebrated for their work, for Assassination is worth watching largely for the visual finesse within. Director Choi has always managed to attract an impressive ensemble cast featuring some of the best talent within the industry for his projects, and Assassination is no exception. The manner in which such disparate characters are weaved together is arguably more organic than Choi’s previous work, and there is great entertainment value to be had during the film’s first half as alliances are forged and events set up. Yet at the half way mark the narrative takes a turn for the worse, veering into a wealth of convoluted and contrived plot points while taking initially promising characters and reducing them to one-dimensional stereotypes. While the film’s stars perform their roles competently, unfortunately the characterisation issues effect them greatly. 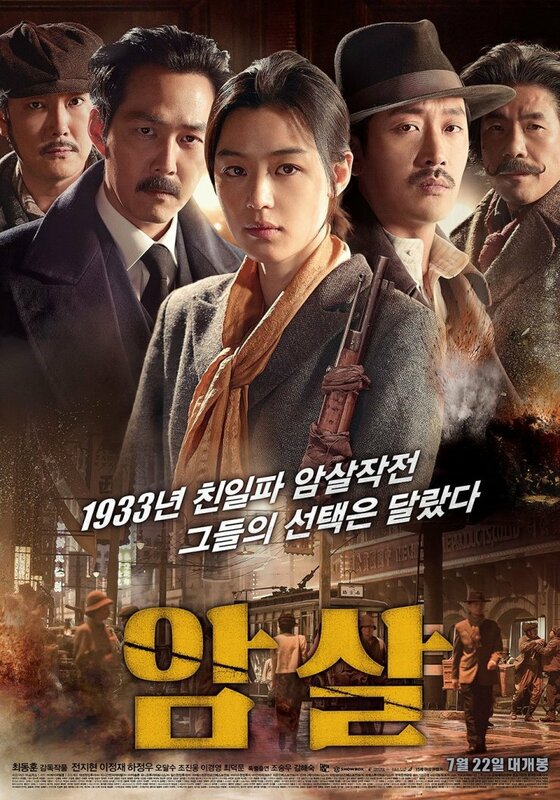 Jeon Ji-hyeon is promising as an empowered captain of the indolence who defies authority, only to be later reduced to her image in the film’s second act and never really shows her range. Ha Jeong-woo does what he can in the role of Hawaii Pistol though it quickly becomes apparent that both he and sidekick Oh Dal-soo never really belong in a story of Korean independence, seemingly remnants from a comedy-western that are shoe-horned in for light relief. Lee Jeong-jae performs the role of resistance leader Yeom with confident ease and is arguably the most charismatic presence, although the actor is in real danger of becoming typecast which undermines the tension. While consistently entertaining, perhaps the biggest issue with Assassination is that the narrative itself is simply vapid. 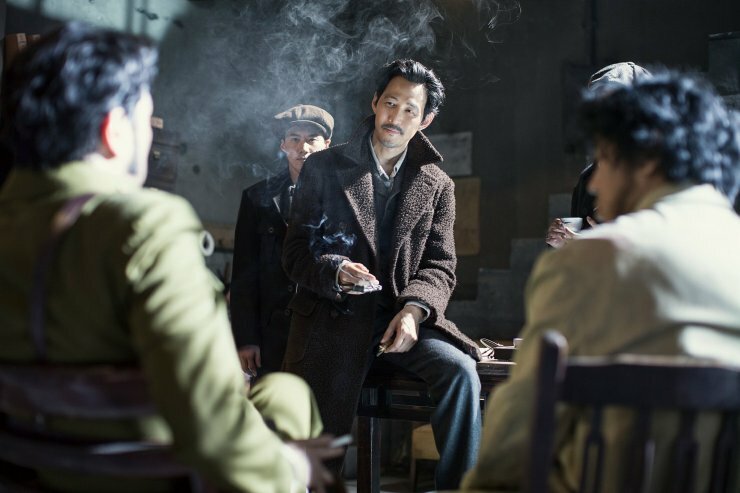 Director Choi bravely employs the extremely sensitive topic of Koreans collaborating with their oppressors during the era, but never explores nor takes a stance on the issue. It’s only in the film’s dying moments when one such traitor is allowed to twist history into portraying himself as a patriot that the film’s message takes a disturbingly conservative tone, and as such the underutilisation of a key feature of Korean history is sadly wasted. One of the big tentpole films of 2015, blockbuster Assassination is an entertaining affair. Director Choi Dong-hoon once again proves his ability to command a talented ensemble cast and enormous budget. Top marks however instead go to the production crew who’ve crafted Assassination into a visual treat, making it possible to withstand the overly-long convoluted narrative and thread-bare characterisation that so often threatens to derail the proceedings.